I had the best hair of my life while I was pregnant. My skin was crap, my stretchmarks were unsightly, but man, I had good hair. It was thick, shiny, and I could literally go five days without washing it. That may sound gross to some, but seriously — what a luxury. I had hoped that it was just the miracle cocktail of prenatal vitamins I was taking and that if I continued with my same supplements postpartum, that my good hair juju would live on. I was three months postpartum when I started loosing chunks of hair at a time. To be fair, my drain rarely saw a strand while I was pregnant — which is definitely not something I was used to — so initially I just thought my hair was playing catch up and would self-regulate in a week or two. Fast forward three months later, now six months postpartum, and I am suffering from a comb-over. I was afraid of putting my hair in a ponytail because of my thinning hairline and avoided running my fingers through my hair, but it wasn’t until my colorist made a comment about all the hair in the sink as she was shampooing me that I decided I really needed help. I did what any respectable millennial mom would do and asked the internet for help. 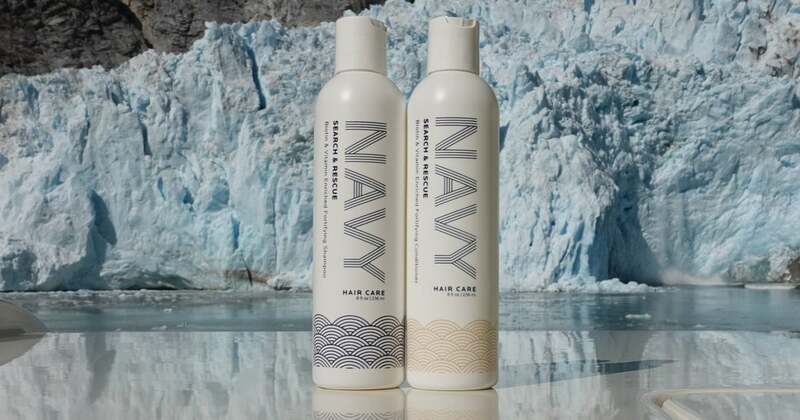 Enter Navy Hair Care. As a beauty editor, I like to think I’m on the up-and-up when it comes to the latest and greatest in the industry, but I had never heard of this biotin-enriched haircare line. When I saw some of the results online, I immediately wanted in — in other words, I totally drank the Kool-Aid. I was convinced this was going to help my increasingly thinning hair and couldn’t wait to get my shiny, voluminous, oil-absorbing roots back. So, after a month of testing the Navy Hair Care Search and Rescue Biotin and Vitamin Enriched Fortifying Shampoo and Conditioner, here are my thoughts.